Get office removal costs for free! - Give us a quick call. We offer a free survey and advice on how to move office! We will visit you at your office and provide a free estimate. Our office removals provide a wide range of services to ensure a smooth transfer of any business. A high level of professionalism and personal approach to each customer allow transporting your office property in the shortest possible time. We can help plan and manage office projects of very complexity level. In case you need a storage service while moving we have the access to 22 warehouses located in the centre of London as well as on it outskirts. For all our potential customers we offer a free meeting to listen and understand what you want to achieve. During the meeting we will also introduce our company to you, provide references, and explain what type of services we can provide and of course survey your office so we can plan your relocation and put forward our free quote. To each customer we assign a personal manager who stays the main point of contact through the whole move. The relocation managers have an individual approach to each client and always offer high quality work at low affordable prices. All of this makes it possible to organize your office removals in London in a very comfortable, smooth manner! We always strive to make your move as cheap as possible. That’s why we have a number of branches across the Greater London area so we can stay local wherever you are. The office move rates start at £90 per porter per day + 17 ton removal lorry – about £110 per day. For move management costs please contact our office. If you would like to obtain a free quote on the phone please contact us during office hours between 8am and 6pm or please fill out our simple online form. 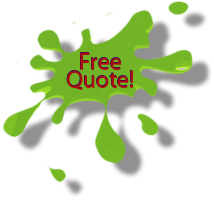 You should receive the quote within a jiffy. Prices include the delivery to the office of boxes for packing personal items and files by employees, the main packaging materials, disassembly-assembly of furniture, labelling, packaging, protecting office furniture with special blankets and corner protectors, loading and transportation of the goods to new address, unloading and placing of office equipment at the new place, unpacking and placement of furniture and office equipment as planned. We provide a number of cheap office removals in London services for different industries: solicitors, universities, builders, manufactures, insurance companies, charities, collages, schools, hospitals, libraries and many more. Our services are one of the best but at the same time one of the cheapest office removals in London. They can be provided at a short notice. In accordance with the volume of the items to be moved we can provide full packing or fragile packing services. Packing files and personal effects. If you decided to pack yourself your office staff pack they belonging and files. They pack their own personal office stuff and sign boxes. Packing of office furniture. 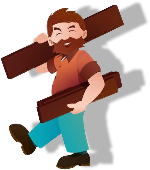 Sometimes it involves disassembly of furniture, which are then tightly placed in rigid furniture cages or trolleys and securely transported. Any fragile equipment is adequately wrapped, protected and packed. Each box is marked with the old and new location, which greatly facilitates the placing process at the new place. Safes are packed in bubble wrapped to prevent a risk of damage to the locking mechanism when moving. Moving and loading on to the vehicles. The porters bring the goods for vehicles. Office removals can be complicated if there are spiral staircases and narrow doorways in the building. In that case the transportation of fragile and bulky objects is carried out using nonstandard solutions. The property from the office is carefully placed and strapped inside of the vehicle. The route planning - When organizing an office move in London it is important to consider the heavy traffic. The route is checked for any road works. Also it is checked if there is no restriction for large delivery lorries. The removal vans are travelling between sites. A third team of office movers unloads the items and distribute them to the floors in the new building, in accordance with the office plan provided by the customer and new locations assigned to each box, equipment and piece of furniture. Unpacking, assembly and placement of the property. This stage of the office relocation consists of unpacking the boxes, the placement of furniture and other equipment in the premises in accordance with the wishes of the customer. When the move has been completed porters clean the office and take away all used packing materials, crates and boxes. Final check – the client and the office relocation manage carry out the final check, look for any damages, check if nothing got lost etc... If everything is right they sing the job completion sheet. Check out our solutions for house removals in London or find shipping from London to anywhere you want.